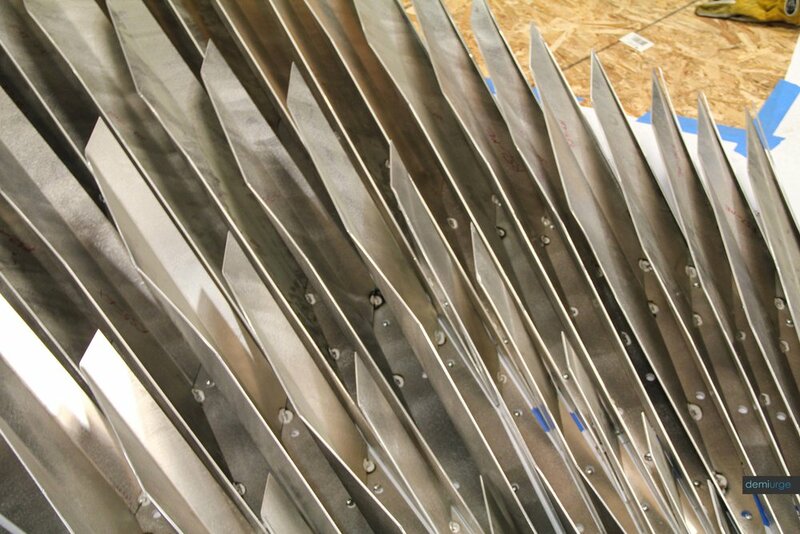 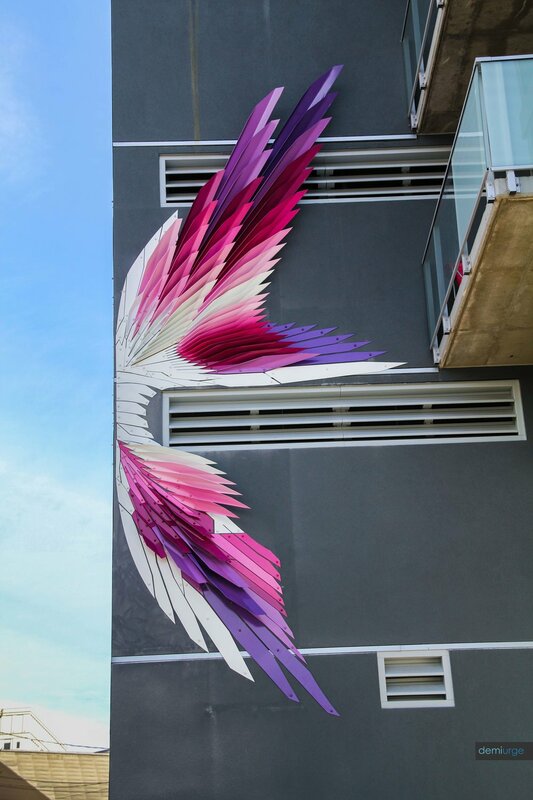 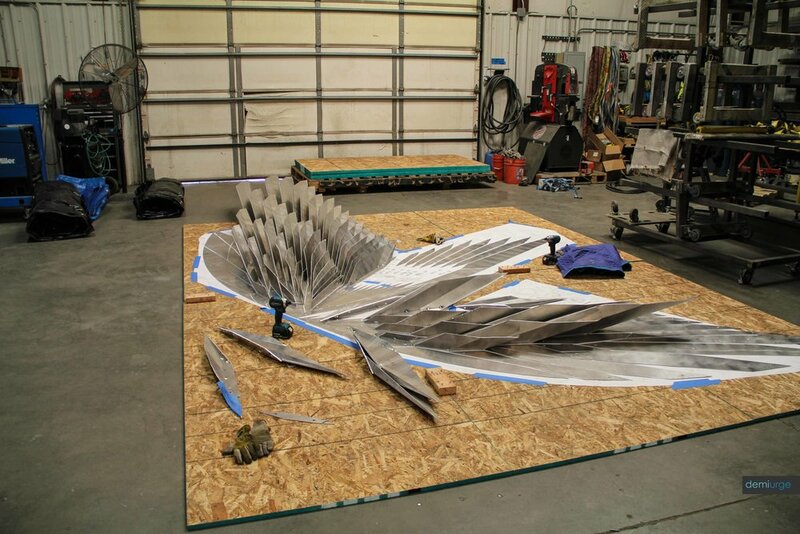 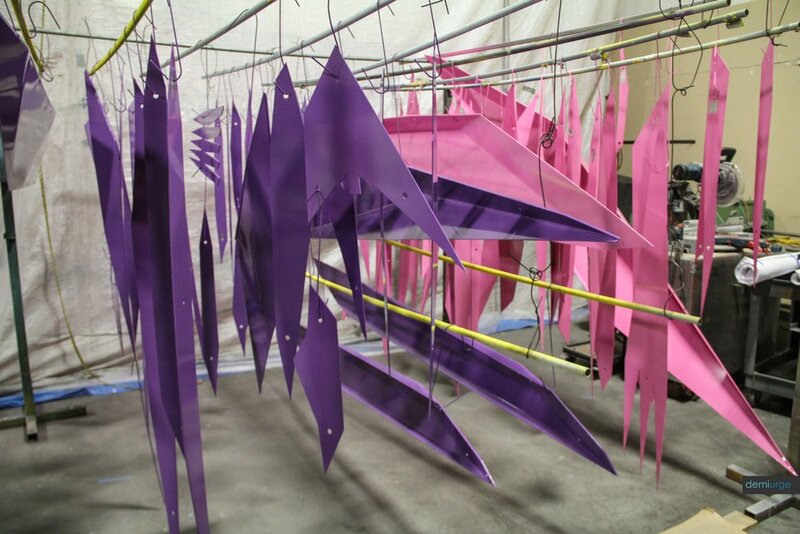 "Plume Bloom is an original art installation by Volkan Alkanoglu. 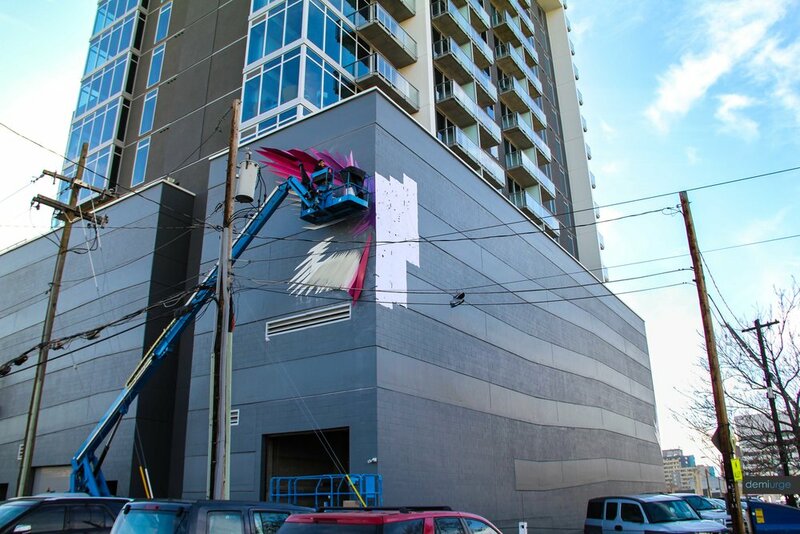 The work playfully connects Cherokee Street to the Arts District while introducing an alternative bright and colorful visual to the EVIVA on Cherokee building. 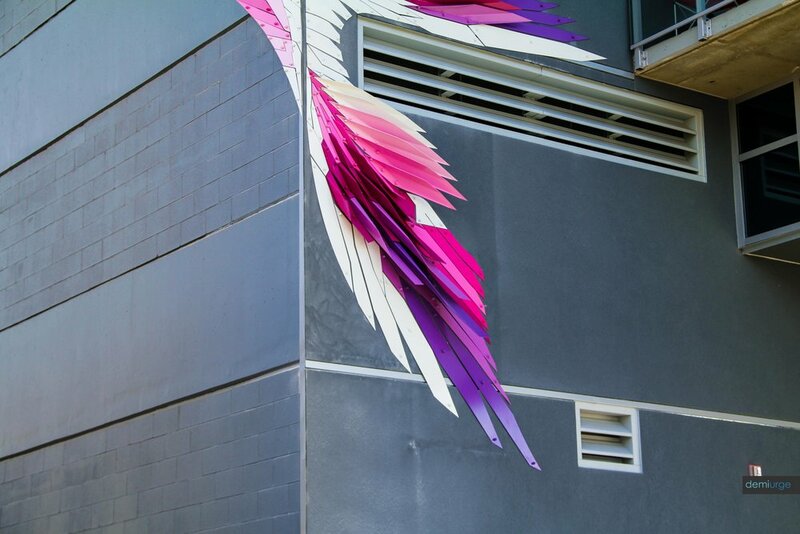 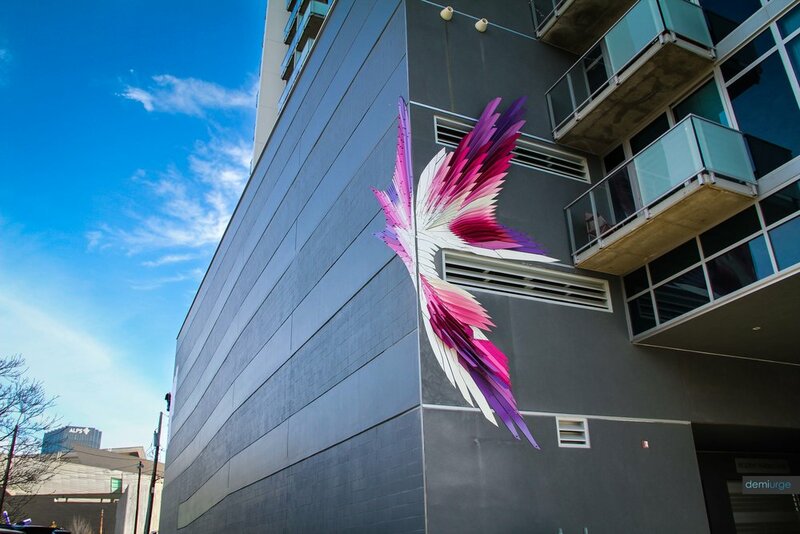 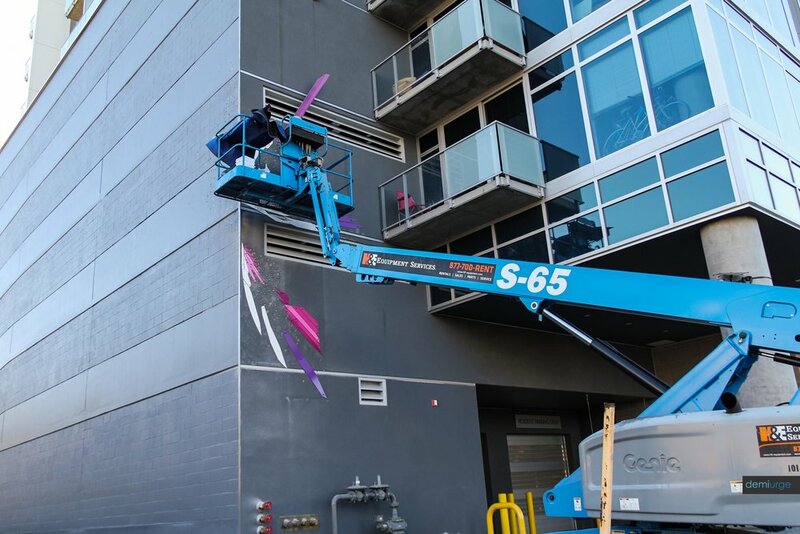 The installation acts as a dynamic focus point attracting pedestrians in the arts district and visitors to the Denver Art Museum towards Cherokee Street and the entrance of the Eviva building. 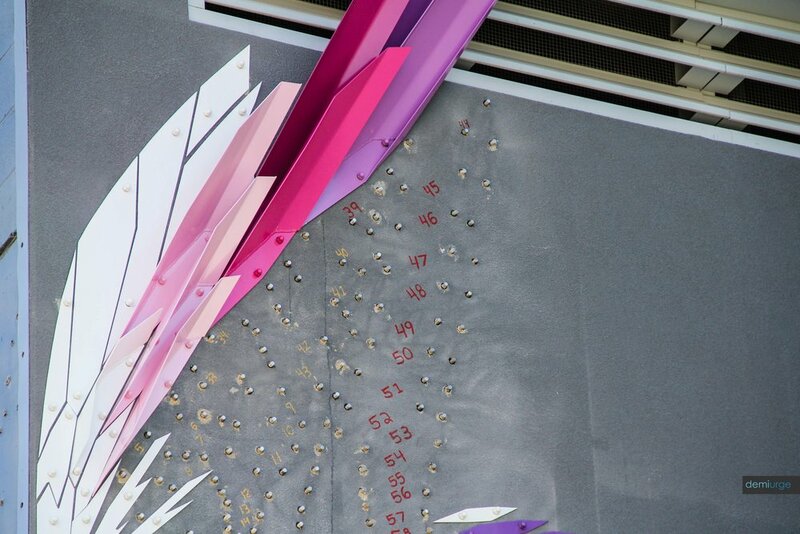 Composed out of hundreds of unique and individual elements placed on three sides of the building, Plume Bloom as a composition forms an abstract landscape of geometries. 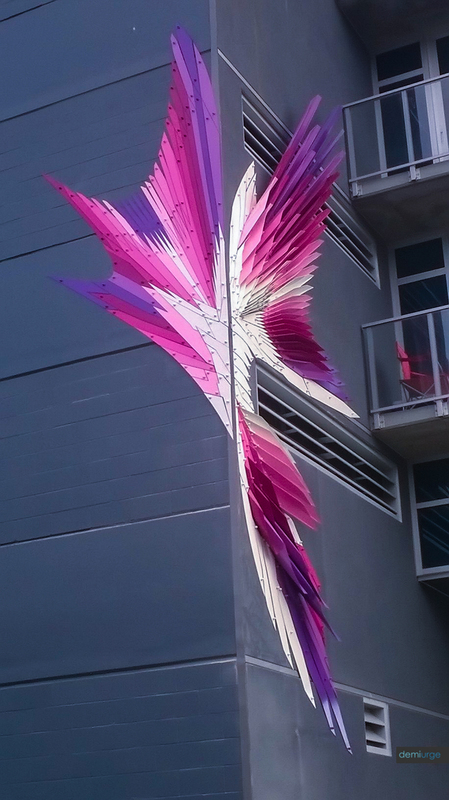 The various pieces act as an ornament to the building, communicate between the viewer and its architectural context, connect cityscapes, and play visual tricks with the viewer by producing Optical Art-like effects.